By now, you may have noticed the new mural that has been put in place on Clinton Street hill and wondered about the guy who did it. There have been plenty of murals painted on that wall, but this one is something different. The new mural also contains a piece that is a tribute to the late, great singer of the Tragically Hip, Gord Downie. The artist who painted the mural is Jeffrey Sidebottom, and we talked to him about his new Lockport piece of art. Niagara’s Watercooler (NW): How long have you been painting murals? Jeffrey Sidebottom (JS): Just started them last year. NW: What, or who, inspired you to get started doing this? JS: Brian and Alex Hutchinson. But I've always wanted to give back. NW: Where are you from and where are you based? NW: Do you have a company you do this with, or do you do this under your name? NW: How did the Lockport project get started? JS: Through Brian Hutchinson and the Lockport not-for-profit group. 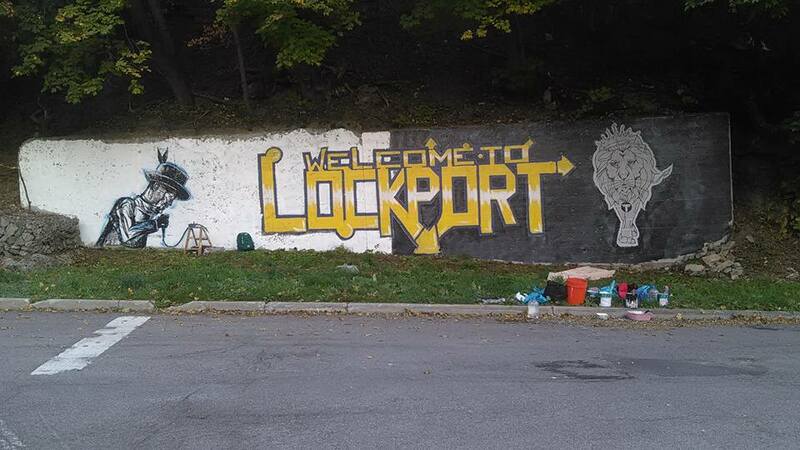 NW: Did you design the Lockport mural on your own? JS: They gave me a basic design, but I went a little renegade on it, LOL. But I love it, and I hope the community does as well. NW: The Gord Downie tribute is a nice touch. 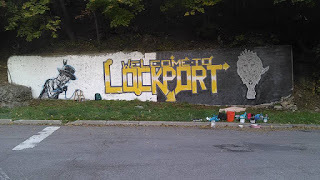 What inspired you to include that on a Lockport mural? JS: The Hip is my all-time favorite band. My aunt and uncle took me and my cousin to see them at the Aud in Buffalo when I was 12, and I was hooked. I’ve seen them so many times in concert, and saw how Gord Downie gave back so much, even when he was ill. Man, that's a true man. NW: Are there any artists that inspire you? JS: There are many. I love all pure art in all forms, but what really inspires me is to see my daughter Hayley Berner’s art work. She is 15 and better than me, and I've taught her none of it. She is just like me and she doesn’t even know it. So I do a lot of this just hoping she will see it. NW: Is painting your only artistic expression, or do you do other things? JS: I've been painting cars since I was 13. I airbrush a lot, and I love tattooing as well. NW: Where else can we see your work? 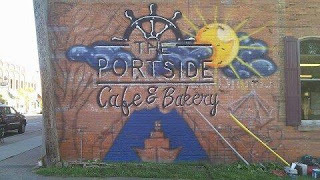 JS: I'm doing a mural on the side of Port Side Cafe and Bakery in Middleport. NW: Any plans on any more murals in Lockport? JS: I would love to do more in Lockport and the surrounding communities. I love art and how it makes people feel. NW: Thank you for your time and we hope to see more of your work around the city in the future! 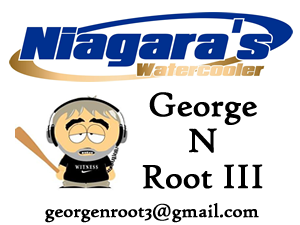 George N Root III is not an art expert, but he knows what he likes. Follow him on Twitter @georgenroot3, or send him a message at georgenroot3@gmail.com.